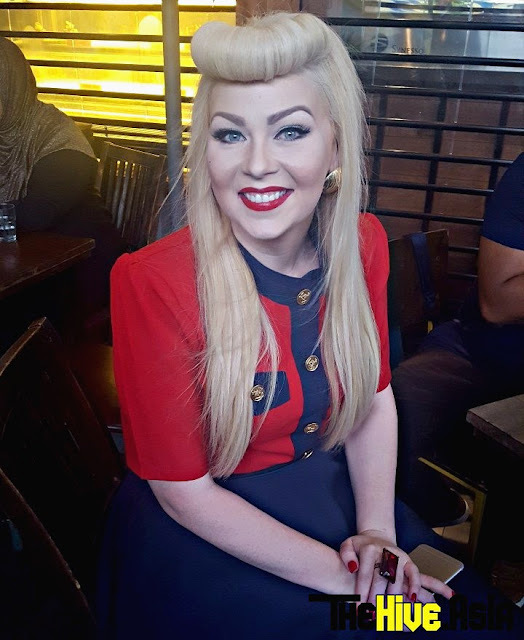 Australian lass Cassidy Anderson, or better known by her stage name, Cassidy La Crème, is famous among many Malaysians for her ability to speak and sing in fluent Malay language. Five years ago, the singing sensation took over the social media platforms in Malaysia when she sang a cover version of “Ombak Rindu” featuring her friend Irwan Azly, and since then, Cassidy has been covering plenty of famous Malay hits and giving them her own spin. Fast forward to today, the Australian singer is signed to Raksasa Records and Warner Music Malaysia, and will finally release her first ever Malay single titled, “Seperti Dia”. Cassidy at "An Evening with Warner Music" event. Composed by Hael Husaini, Mike Chan and Ezra Kong, the ballad song is about cultural differences between a pair of lovers. “It is like someone is still in love with their ex, but you can't compare because you're not from that culture, so it hit home for me, I can definitely sympathise with the lyrics because I've been through that heartbreak before,” said Cassidy as she revealed that she previously dated some locals. The 29-year-old singer said that she moved to Malaysia back in January and plans to dedicate and focus on her career in the country. Cassidy, interviewed by the local media. “For 5 years now, I've always wanted to move here and try my luck in the Malaysian industry. I know it sounds very strange to say but, for me, Malaysia feels like home,” she commented. Cassidy said that she learned about the Malay culture from her Singaporean Malay friends in 2012. Back then, she was working at Universal Studios Singapore as Marilyn Monroe. Cassidy as Marilyn Monroe in kebaya. Since learning about the culture, Cassidy has been very passionate about the Malay language and had started to take interest in learning Malay songs. It took her a mere six months to learn the language which is now her second language. “It became a passion for me. The emotion in Malay songs is missing in the western market. We used to have amazing ballad singers like Celine Dion and Whitney Houston, but Malaysia still has that. I really aspire to be like the Malaysian artistes instead of the western artistes,” said Cassidy. Cassidy revealed that some of her favourite Malay talents include Dato’ Siti Nurhaliza, Faizal Tahir and Amy Search, the latter whom she met twice already, but when asked who she would love to work with in Malaysia, she pointed out rapper Malique. Cassidy La Crème, or as her Malay friends call her, Kasidah, performed her single for the first time ever at a Warner Music event on Wednesday held at The Bee, Publika. The talented Australian said that it took her a day to learn the song but three to four days to understand the lyrics. “I don't want to show disrespect to the language and not understand what I'm singing,” she said. 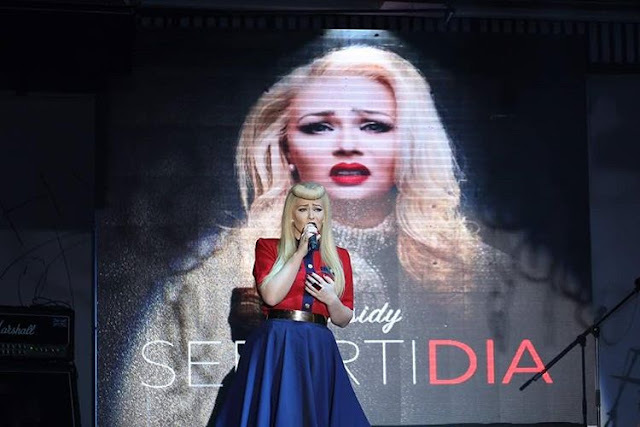 Cassidy performing her first live performance of "Seperti Dia". Thank you very much for the amazing article TheHive & Erny Suzira! It was a pleasure meeting you. You're doing great! All the best to you! We love you! God bless.